You can come along and support our events that are listed in the events section. We are always looking for volunteers to help with all aspects of the branch, contact us on the Helpline number 0345 3714202 (Mon - Fri 8.30 am - 6 pm, Sat 9 am - 3 pm) for more information or visit our volunteering page. Membership of our branch is available for just £7 per year. By becoming a member you will be kept up to date with branch news and upcoming events. Your money will go directly towards helping cats in our area. You will receive our newsletter ‘Anglia Coastal Cat Tails’. A membership form can be sent on request. For more information please contact us on the helpline number 0345 3714202 (Mon - Fri 8.30 am - 6 pm, Sat 9 am - 3 pm) or by using the contact us form. Sponsoring a pen doesn’t have to be a personal thing. Why not make a cat lover’s day by giving them Cats Protection Sponsorship as a gift? Cats Protection Sponsorship is a truly rewarding gift, offering a wonderful way for the cat lover in your life to help vulnerable cats and kittens. It makes a perfect gift for adults and children! Your friend or relative will receive their very own welcome pack including a personalised certificate, their very first photo introducing them to the lovely cat they're currently caring for in their pen along with a photo album to collect this and all future photos that we will send them of the cats in their pen. They will also receive newsletters and emails showing stories of all the wonderful cats they're helping along the way! 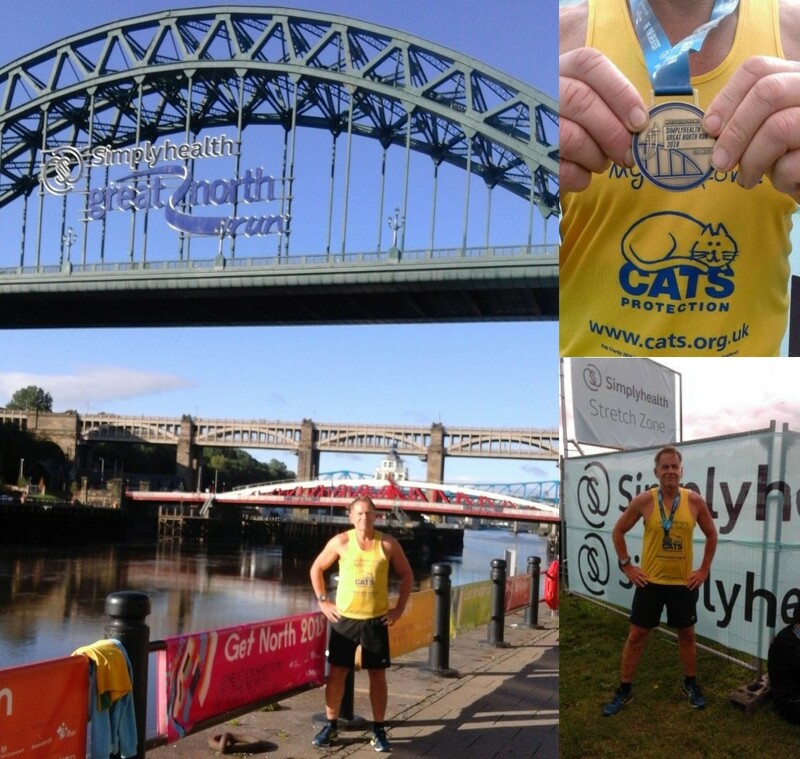 click cat sponsorship to become a cat sponsor today. By leaving a gift in your will you can help change the lives of thousands of cats and kittens for years to come. Without the kindness of people who remember Cats Protection in their wills we would not be the charity we are today. These special gifts fund more than half of everything we do. Charitable gifts in wills are vital for continuing our work to help unwanted cats and kittens. Research from 'Remember A Charity' has shown that although 74% of the UK population support charities during their lifetime, only 7% of people donate to charities in their will once their family and friends have been provided for. By leaving a gift in your will, you will be helping us keep the special promise that underpins all of our vital work: that we will never put a healthy cat to sleep. Their Team story it started as idle chat over coffee and cake about gettin fit when Jakki suggested they should do a fun run! 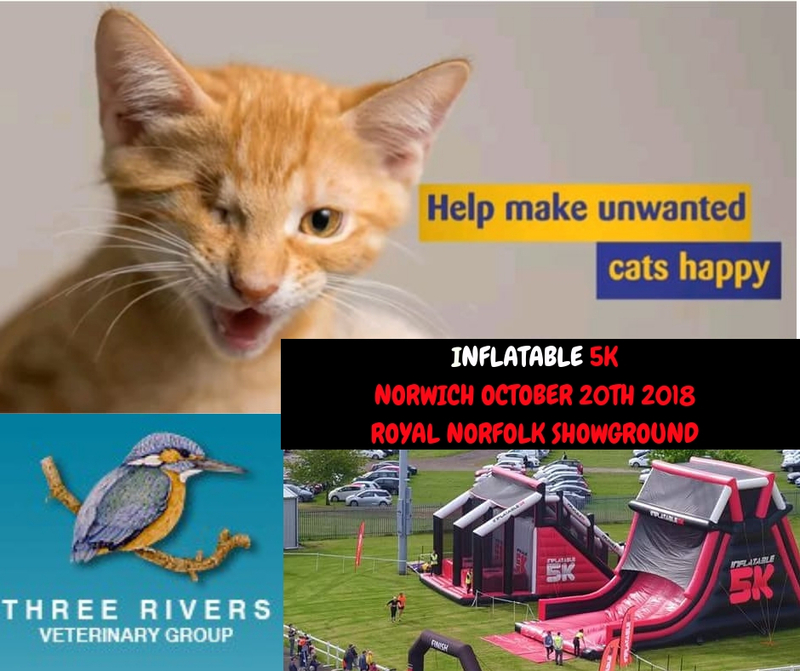 so....on 20th October at Norwich Show ground, 25 members of team 3 Rivers are taking part in a 5k inflatable fun run. They are raising money for Cats Protection who from humble beginnings in 1927, has grown to become the UK's leading feline welfare charity and help around 200,000 cats and kittens every year through their network of over 250 volunteer-run branches and 36 centres and another charity of their choice. .
On behalf of all the cats in our care we would like to thank you for your support. With your kind donation we can help more cats in the Anglia Coastal area get a second chance of happiness with a new loving owner.